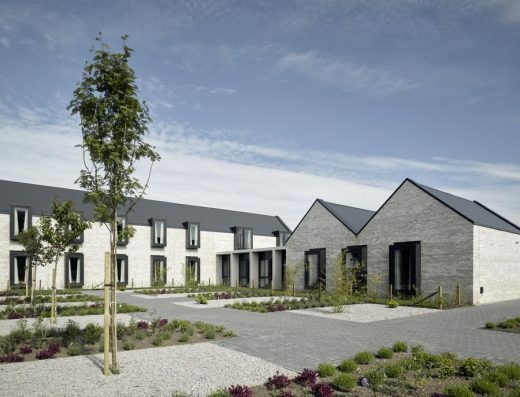 The 11 winners of the RIAS Awards / RIBA Awards for Scotland 2016 for the best in current Scottish architecture were announced last night by the Royal Incorporation of Architects in Scotland (RIAS). 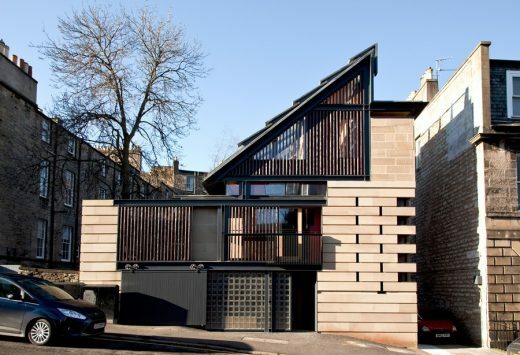 Projects ranging from major business hubs to isolated look-out points and innovative houses were honoured at the RIAS’ Centenary and Awards Dinner held in Glasgow. 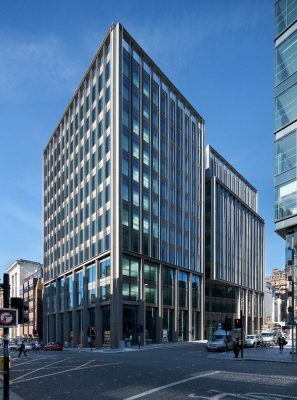 The challenge was providing 135,000 sq ft of offices while preserving a listed building and integrating this with an innovative new design that blended with its surroundings and added to the cityscape. Clad in a bronzed metallic curtain wall system, the interior spaces are virtually column free and offer 360 degree views of the city. A complete overhaul of a nondescript mid-20th century dwelling to create a unique and elegant countryside home. 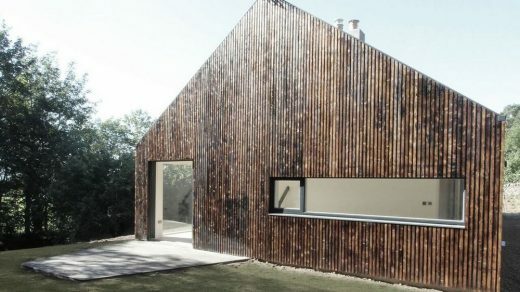 The footprint was extended to the east and west of the existing building, with the entire building then over-clad, in scorched larch, to blend in with nearby woodland. 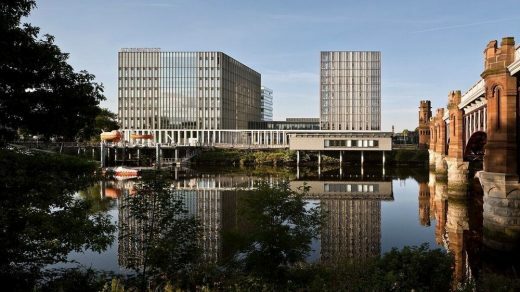 This project aimed to create a well-designed, industrial building that was a pleasurable working environment with a welcoming frontage in a riverside setting. A new reception block on the street edge provides a point of arrival while rising up to become a bridge, spanning the main goods-in area and linking to the upper level of the existing factory. Located at the edge of a major crossing of the River Clyde, the site marks a gateway in the city and projects the College’s importance as a civic institution as well as creating a new landmark. New buildings are organised around two civic spaces – a cloistered garden and a grand hall – which encourage students to mix and realise opportunities for learning across disciplines. This tower was created to give visitors an elevated and striking look-out over the Flow Country and its blanket peat bogs and associated pools. To minimise disruption to the peat, the construction is similar to that of an oil rig, built off 150mm diameter hollow piles driven to a solid base around 4m below the surface. 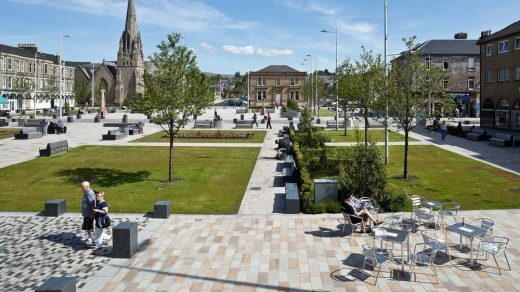 The design ethos was to create a town centre with attractive, usable and flexible public spaces to support community events, festivals and markets. 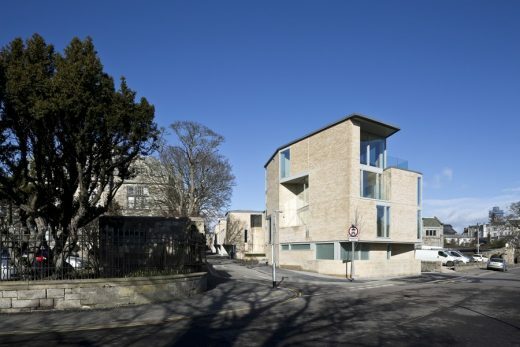 The walkways, soft landscaped areas, tree lines and lighting columns are set out on a simple grid, which enhances and frames the several high-quality, listed buildings within Colquhoun Square. This “glass box” extension and remodelling of the ground floor rear rooms allows the new kitchen and dining spaces of this, Category B listed, Victorian townhouse to “spill out” into a south-facing garden. 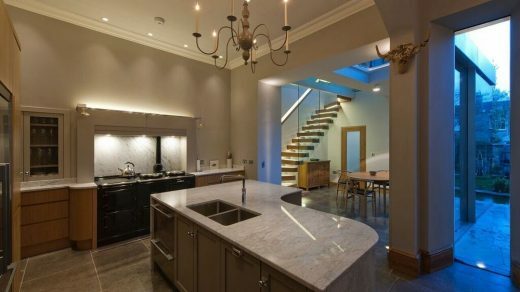 The remodelling of the rear rooms and modest extension is integrated with the overall refurbishment of the whole house. 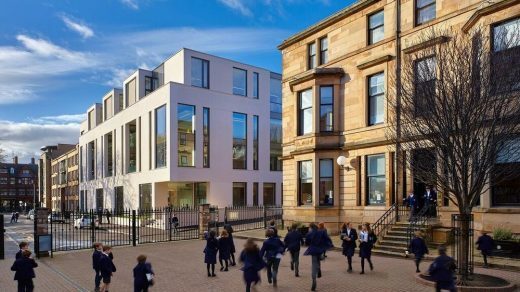 This 280-pupil school is designed to deliver the new Scottish Curriculum for Excellence and to be a beacon in its community and a quality learning environment. 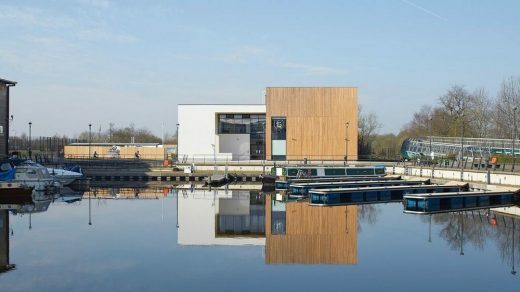 The canal-side location was the inspiration for construction parallel to the water with semi-open plan learning spaces and double-height glazing to provide views and a light and spacious environment. This peninsula viewpoint overlooking Loch Lomond, taking the shape of a triangular platform at the end of a long, curved path is first seen as a narrow, vertical stack amongst the trees. Only a glimpse of the loch is visible through a long tunnel, marking the entrance. The building at the Glasgow Academy includes a new 178-seat auditorium, complemented by a generous foyer that wraps around the sculptural elliptical form. On each upper floor, four general teaching labs, together with a sixth year lab, are arranged along a glazed break out and bay-windowed passage overlooking the historic main school. This facility at the Glasgow Academy includes a new 178-seat auditorium, complemented by a generous foyer that wraps around the sculptural elliptical form. On each upper floor, four general teaching labs, together with a sixth year lab, are arranged along a glazed break out and bay-windowed passage overlooking the historic main school. A collection of abandoned farm sheds on the site provided the inspiration for the built form. The house is articulated and unified by a continuous roof. Built over one-and-a-half storeys the whole is divided into four tied elements – car port, garage/office, entrance/court, and house. 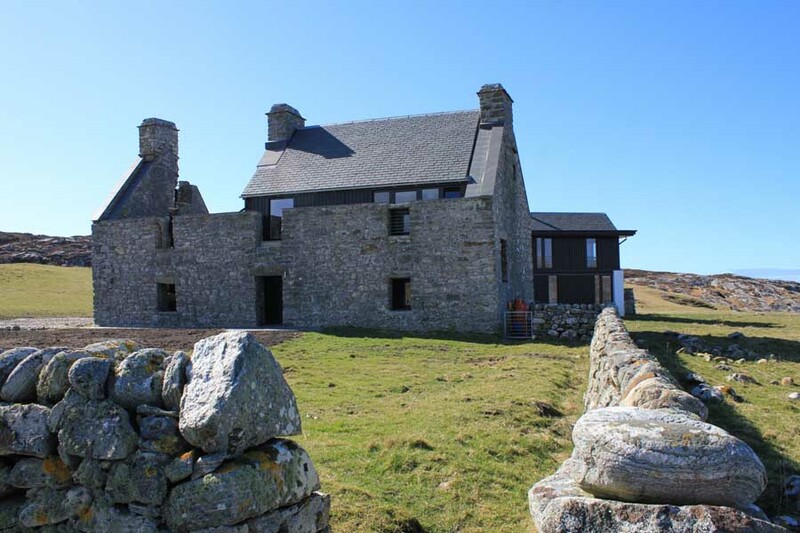 In the fifth year of the restyled awards the RIAS has again teamed up with Forestry Commission Scotland/Wood for Good, Historic Environment Scotland, The Scottish Government, Zero Waste Scotland and Saint-Gobain for five prestigious sub-category awards. 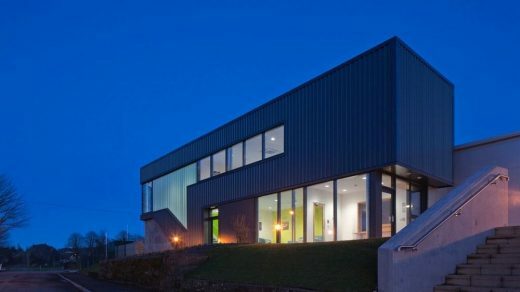 Blakeburn, Roxburghshire by A449 Ltd.
From the 11 RIAS Awards 2016 winners, the City of Glasgow College’s Riverside Campus and the Saunders Centre won a RIBA Award for Scotland. The shortlist for the RIAS Andrew Doolan Best Building in Scotland Award, supported by the Doolan family and the Scottish Government (to be presented in November at the National Museum of Scotland) consists of all 11 of the RIAS Awards 2016 winners. 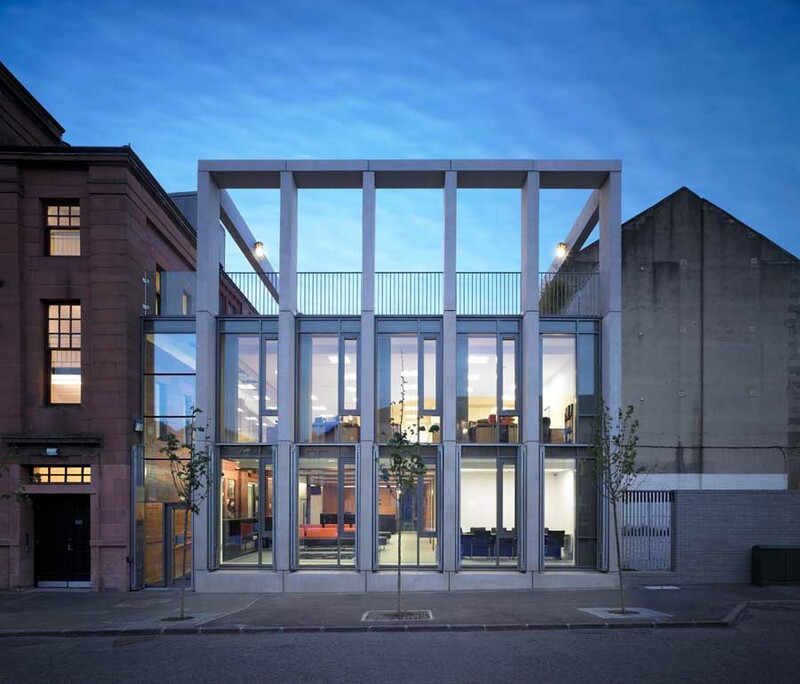 The Royal Incorporation of Architects in Scotland (RIAS) has announced a 23 strong shortlist for its 2016 awards. The judging panel for this year, chaired by Willie Watt PRIAS, also includes Denise Bennetts FRIAS (representing the Royal Institute of British Architects), Alan Jones PPRSUA Hon FRIAS, Andy Leitch (Forestry Commission Scotland) and Stuart McKill (Saint-Gobain). 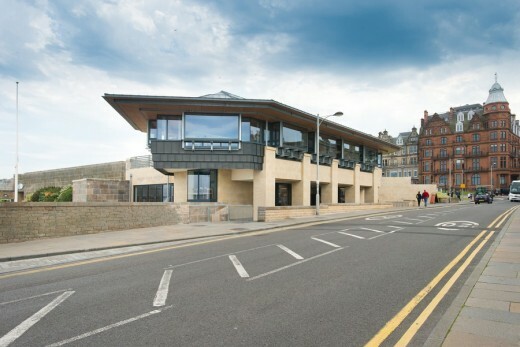 Opened in 1990, this museum in St Andrews attracts more than 60,000 visitors annually but lacked space for visitors to enjoy refreshments. The existing building was single storey and mostly sunk into the ground. The reorganisation places the café on the new first floor but changed the orientation by 90 degrees so most seats now look towards the Old Course. 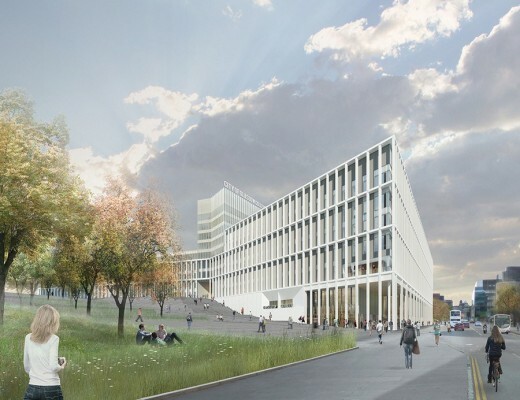 Located at the edge of a major crossing of the River Clyde, the site marks a gateway in the city and projects the College’s importance as a civic institution as well as creating a new landmark. New buildings are organised around two civic spaces – a cloistered garden and a grand hall – which encourage students to mix and realise opportunities for blended learning across disciplines. The idea was to create an impressive, brightly lit, social space at the heart of the building that the entire community of users could engage with. All spaces are gathered around a central, enclosed atrium with outward views. The square geometry and the atrium provide efficiency and economy of movement – the patient journey is always minimised. 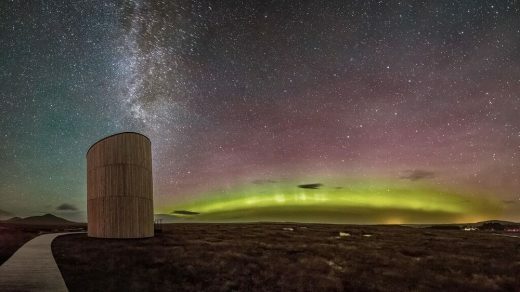 This tower was created to give conservation-minded visitors an elevated and striking look-out over the Flow Country and its blanket peat bogs and associated pools. To minimise disruption to the peat, the construction is similar to that of an oil rig, built off 150mm diameter hollow piles driven to a solid base around 4m below the surface. This project reformed the internal spaces of the existing Bridgeton Carnegie Library with a design strategy that involved an informal reading area and open-plan mezzanine area within the former main reading room. The reading room rests above a new ground floor cafe/kitchen and informal display/exhibition space. In 2010, the three-storey High Mill – dating from 1833 – and the adjoining single-storey preparing room were derelict but the Category A listed buildings have now been restored. Modern interventions, such as an educational pod, have been sensitively designed to sit alongside the original industrial aesthetic. This “glass box” extension and remodelling of the ground floor rear rooms allows the new kitchen and dining spaces of this Category B listed, Victorian townhouse to “spill out” into a south-facing garden. The remodelling of the rear rooms and modest extension is part of an overall refurbishment of the whole house. Scottish Canals was seeking to create a unique “stopping off” opportunity at Laggan Locks on the Caledonian Canal for visitors travelling by car or bus along the busy A82 and also for the 30,000 visitors travelling the Great Glen Way by boat, foot or bike. 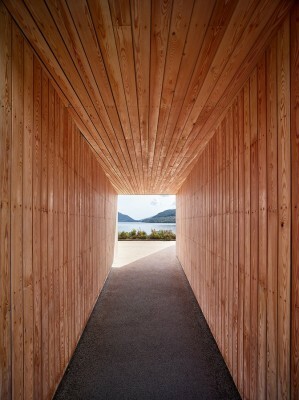 The structure provides a seasonal café/kiosk that provides a sheltered viewpoint down the Great Glen all year round. This spiky, zinc-clad artist’s studio sitson a former Victorian midden, recalling the vernacular agricultural buildings nearby, the granite rocks that punctuate the landscape and the flourish of ‘Scottish Baronial’. Immersed in the landscape, surreal details are revealed only on closer inspection: the cantilever which apparently floats over the burn, uncanny twin gables and echoed stone mouldings. This pavilion teaching building forms a component of Dollar Academy’s new ‘Teaching L’, conceived as an open ‘quad’ at the heart of the campus. Accommodating ten new classrooms, five are in the solid brick plinth lower floor and the rest in a glazed viewing pavilion above. Wide corridors on the upper level act as a viewing gallery out towards the striking grounds and hockey pitches. 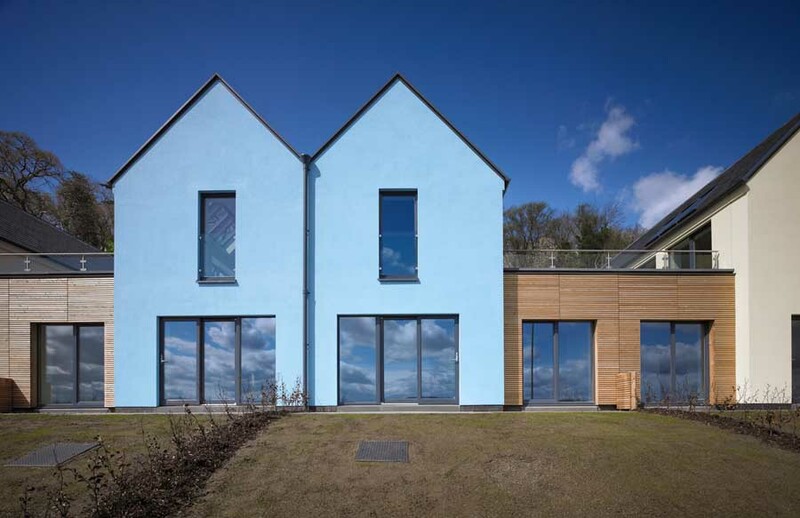 The first phase of a 121-home extension to an historic, planned village, key objectives were to create vibrant streetscapes, and provide a thoughtful transition from historic, through contemporary, to rural. Standard house types were developed with reference to Eaglesham’s historic context. A 30-bedoom “home from home” that provides comfort and shelter to the families of sick children being treated at a nearby hospital was the brief. The result is a series of vernacular, white brick forms, interconnected by green-roofed, white concrete porticos which, in turn, create an industrial silhouette, referencing the shipbuilding heritage of the area. This redevelopment provides 141 new-build houses and flats on a mostly vacant site to create new urban blocks that respond to the scale of existing flats. The design team wanted to provide a strong identity for the new neighbourhood and chose to express this through careful selection of materials and the creation of strong, built forms, based on early Scottish styles such as crow-stepped gables and rectilinear blocks. The design brief was to house the substation in an enclosure appropriate to its Grade A listed neighbour with an elevational treatment that was modern and lively but still practical. The materials recognise the formal stone frontage of the nearby Georgian terrace with a masonry base of dressed blond ashlar sandstone to the south elevation. 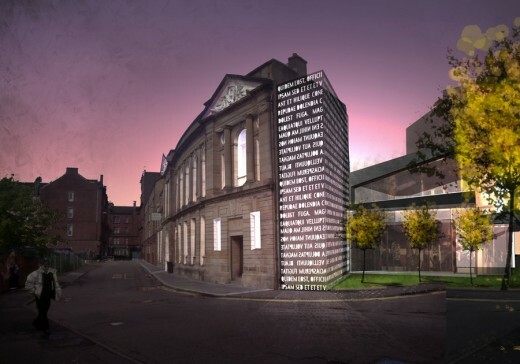 This scheme introduces direct access to the historic museums via a new glazed linking building, adds a distinct street front visual identity and improves accessibility. Inserted between two Grade A listed buildings, the new link, clad in full height anodised aluminium curtain walling around a lightweight glazed structure, promotes a contrast to the heavy masonry of the existing buildings and acts as the interface between old and new. 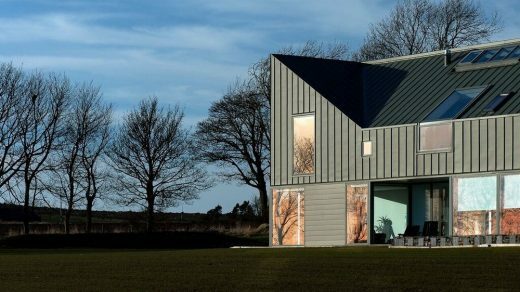 Set in the agricultural landscape of Angus, a collection of abandoned farm sheds on the site forms the over-riding conceptual idea for ‘Zinc-House’. The house is a composition of aggregated internal and external spaces articulated and unified by a continuous roof. Built over one-and-a-half storeys the whole is divided into four tied elements – car port, garage/office, entrance/court, and house. To enter for an RIBA Award the entrant must be a current RIBA Chartered member or RIBA International Fellow. The Stephen Lawrence Prize rewards the best examples of projects that have a construction budget of less than £1 million and is intended to encourage fresh talent working with smaller budgets. Whilst continuing to recognise the overriding importance of design, the 2016 jury will also attach high importance to the role of architects under 40 in the shortlisted projects, whether working as principals or as project leaders in a more established practice. The RIAS Saint-Gobain Emerging Architect Award is open to project architects of RIAS Award submissions who were under the age of 40 on 31 December 2015. Entries which have been previously submitted can be re-submitted but only for RIBA (National) Awards. Projects may only be re-submitted once. The full entry fee will be payable. * have been completed between 1st January 2013 and 26th February 2016 (RIAS Awards) and 1st January 2014 and 26th February 2016 (RIBA Awards). The submission deadline is no later than 5.00pm, Friday 26th February 2016. If you wish to enter, please request the entry form by email riasawards@rias.org.uk.